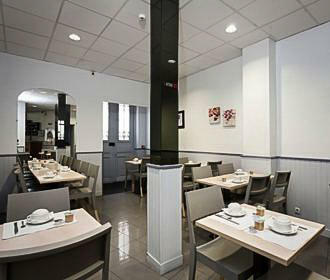 The Hotel Helvetia is a 2 star hotel located in the 12th Arrondissement of Paris close to the Gare de Lyon train station, with 48 comfortable en suite rooms, free WiFi, 24 hour reception and breakfast available. 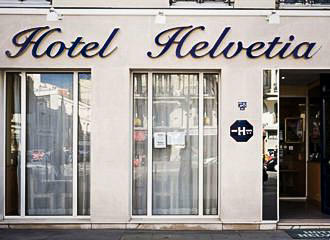 The Hotel Helvetia was completely renovated in 2009 and offers a 24 hour reception with staff able to help with booking tours, restaurants, transport, etc, along with a luggage hold service for when you arrive or prior to departure. A safe is available at reception and the hotel meets all necessary security standards, plus breakfast in the form of a continental style is also possible for an additional charge per person. A simple and basic 2 star hotel, you will find that all 48 rooms come with an en suite bathroom with toilet and shower, a flat screen TV, desk, a chair or two within the double hotel rooms and free WiFi internet access. 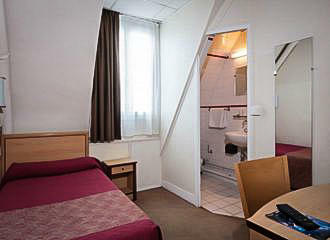 There are single, twin, double and triple hotel rooms that all have double glazing to help reduce noise from outside, which are fresh, bright and clean with modern bathrooms, providing all the basics needed for a pleasant relaxing holiday in Paris. Located in the 12th Arrondissement close to the Parc de Bercy and the Gare de Lyon train station, this is the main place to access the Metro lines 1 and 14 along with the RER trains for lines RER A and RER D, yet there are also arrivals and departures of other trains at this main station such as the TGV. However, the bus lines 20, 61, 65, 87 and 91 along with the Noctilien Night Bus lines N02, N11 and N16 will also get you very close by to the Hotel Helvetia, but if you are travelling into Paris with your own vehicle, then there is a car park within only around a two minute walk from the hotel.